The Texas Department of Insurance (TDI) suspended preferred provider benefit regulations until it adopts rules implementing legislation passed in the 2011 session of the legislature. A bulletin from Insurance Commissioner Eleanor Kitzman said the legislature passed bills that significantly affect TDI's ability to regulate health care plans. The rules that TDI suspended were the result of work by the TDI Network Adequacy Workgroup, which included facility-based physician members. The rules are the result of four years of work, beginning with the passage of Senate Bill 1731 in 2007, the study of network adequacy issues (as required by that bill), and the passage of House Bill 2256 in 2009. Since HB 2256 passed, TDI staff have worked with health plans, hospitals, and provider stakeholders to refine the rules, which were improved through the course of two informal and one formal postings, two public stakeholder meetings, and a public hearing. Would you rather leap from ICD-9 to ICD-10 – and risk a hard fall (that might be ICD-10 code W15.XXXA: Fall from cliff, initial encounter) – or cross over via a smooth bridge? 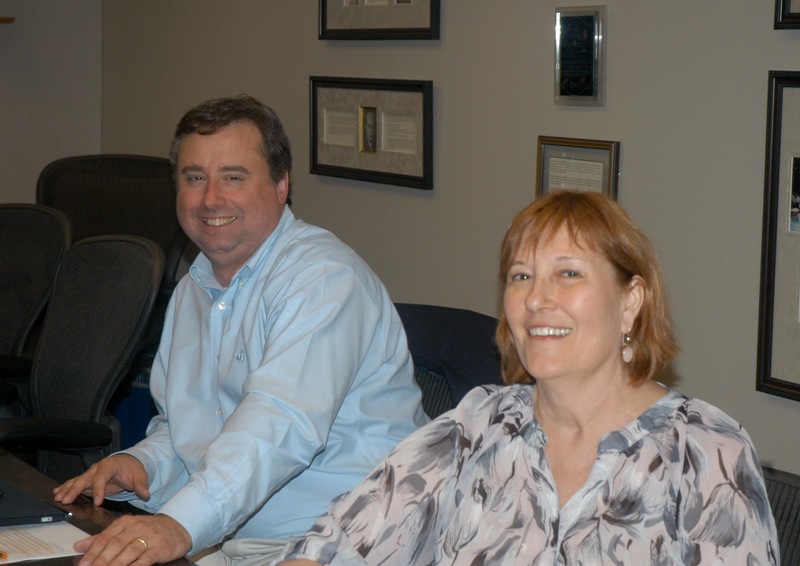 Hands-on ICD-10 Coding Workshops. The challenge of learning a new code set can be intimidating, and for some physicians and staff it can be paralyzing. Become familiar with the ICD-10 conventions and learn to navigate the new system in an interactive workshop. Participants will gain hands-on experience by coding services using sample medical record documentation and the ICD-10 coding system. By building a solid ICD-10 foundation and understanding the rules involved, your practice can avoid decreased revenue and reduce financial liability. ICD-10 Documentation Requirements (a physician-only program). Even if your practice is fully prepared, if physician documentation has not evolved, you’ll never achieve accurate coding and proper payment. Attendees will learn about the new conventions and how to modify medical record documentation techniques to support the ICD-10 coding system. Avoiding a decrease in revenue and reducing financial liability begin with the physician. Private ICD-10 Training. TMA Practice Consulting can provide customized ICD-10 training for physicians and staff within the comfort of your own practice. This training is ideal for both small and large practices that prefer to have one-on-one instruction in a more intimate setting with a less rigid format. For more information or to request a proposal, email TMA Practice Consulting. TMA is working with the American Medical Association and other state associations to stop the Centers for Medicare & Medicaid Services from implementing ICD-10 because of its burden on physician practices. But if the government doesn't listen, TMA can help you prepare. Stay abreast of TMA's ICD-10 educational programs by emailing Heather Bettridge. Let her know you want special notification of TMA's upcoming ICD-10 workshops, seminars, and webinars as details become available. Find more information on the TMA website. Keep track of ICD-10 deadlines and other looming compliance dates with TMA's Calendar of Doom. Be prepared; be very prepared. Three major insurers now say they still accept and pay physicians' claims in both the HIPAA 4010 and 5010 formats through April 1, even though Jan. 1 was the deadline for physicians to begin using the 5010 claims standards. They are Medicare, Texas Medicaid, and Blue Cross and Blue Shield of Texas. UnitedHealthcare said it will accept claims in both version but did not say for how long. As this report was prepared, the Humana, and CIGNA websites said the companies would not accept 4010 claims after Jan. 1. Genevieve Davis, director of TMA's Payment Advocacy Department, suggests physicians monitor the 5010 pages on the insurers' websites. Aetna said it would accept 4010 claims from vendors or clearinghouses, not directly from physicians. She says Aetna's position emphasizes that physicians who have not made sure their vendors have submitted a contingency plan to the insurers should do so immediately. The Centers for Medicare & Medicaid Services said earlier this month it would delay enforcement of the new standards until April 1 to give physicians and payers more time to complete the conversion. The private insurers then followed suit. For more information about the conversion to 5010, visit the TMA HIPAA 5010 Resource Center on the TMA website. Dialogue: How to Save Grandma from the Big, Bad SGR? 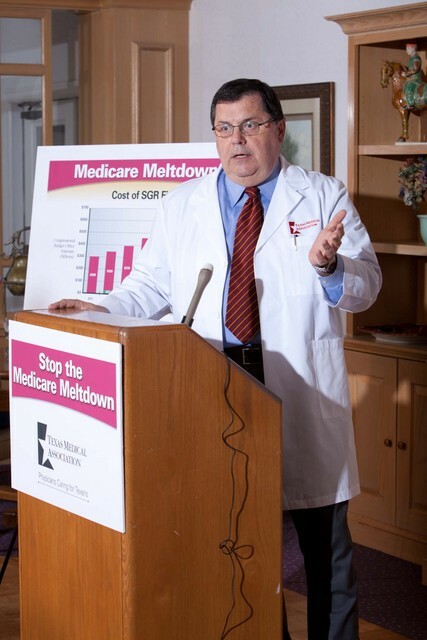 U.S. Rep. Michael Burgess, MD (R-Lewisville), told Texas medicine’s leaders he sees no permanent fix this year for Medicare’s Sustainable Growth Rate (SGR) formula. 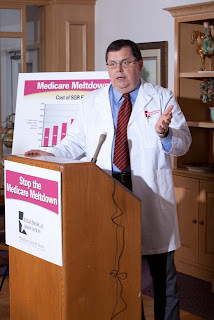 But, appearing at the TMA 2011 Advocacy Retreat via a Skype video call from his Capitol office, the only TMA member in Congress predicted “with 95-percent certitude” that “no cuts will happen” in physicians’ Medicare payments on Jan. 1. Under current law, the SGR mandates a 27.4-percent cut when the new year begins. Dr. Burgess said he expects Congress will intervene at the last hour, again, stopping the cuts for two years with perhaps a small increase, while work for a permanent SGR replacement continues. Meanwhile, the latest TMA survey says that almost half of Texas physicians are considering opting out of the Medicare program altogether, putting seniors, military families, and people with disabilities at serious risk of losing their doctor. Given the partisan gridlock in Congress and the growing physician unrest, what can we do to replace the SGR with a formula that actually keeps up with the cost of seeing patients? At TMA, we recognize the value that hospitals, nursing homes, home health services, durable medical equipment, and other health care providers give to Medicare patients. Over the past decade, they have received annual payment updates. Before any future updates are given to them, Washington needs to fix the broken physician payment system. What do you think? Put your ideas in the comment box below, or tweet them to us, using the #MedicareMeltdown hashtag. And while you're sharing your thoughts, have you seen our latest animated video, "Grandma & the Big, Bad SGR"? Take a look and let us know what you think. (We're quite proud of it.) Then share it with your colleagues, patients, family, friends, and staff. Use e-mail, Twitter, Facebook. Get the word out. Opponents of smart, common-sense legal reforms regularly release "reports" that rely on tortured data to back up their narrow view that reforms are bad for Texas. (See: "8 years after tort reform, its benefits are disputed," Oct. 12) Their twisted conclusions simply don't hold water. Today, as a result of voter-approved reforms, Texas has more physicians per capita than ever before: adding enough doctors since 2003 to provide 6.4 million more patient visits than would have occurred without these reforms. In all, more than 20,000 physicians have been licensed to practice in Texas since 2003, and many came here because of our reformed legal climate. The change also has allowed hospitals to re-invest their liability savings to expand services, improve patient care and increase charity care in their local communities. In short, needed reforms have provided a level of affordability and predictability for providers and allowed them to focus on what matters most -- keeping Texans healthy. Don't miss this deadline! Or any other. Visit TMA's new Calendar of Doom. Physicians have until Nov. 1 to ask for an exemption from a 1-percent cut in Medicare payments next year for not meeting Medicare's e-prescribing requirements this year. You must submit the online hardship exemption form by then. Q. I have a small practice in a small town. Adopting HIPAA 5010 electronic standards by Jan. 1, 2012, is a huge hurdle for me — almost insurmountable. Is there a way I can get out of this requirement? For more information on the new standards -- including a podcast featuring TMA experts -- please see our HIPAA 5010 Resource Center. The Texas Medical Association unveils new statewide physician survey data showing the devastating adjustments to their practice physicians would be forced to make if Congress does not act by January. Only Congress can avert the almost 30-percent cut in Medicare doctor payments scheduled for Jan. 1. Unfortunately, Medicare patients — senior citizens and people with long-term disabilities — and Tricare patients from military families are likely to have coverage but not a physician of their choice. Contact Sens. John Cornyn and Kay Bailey Hutchison and your U.S. Representative today. Tell them that no other health care provider or pharmaceutical should get another payment increase until Washington fixes the broken physician payment system. "The Problem with Medicare Spending — and the Proposals to Fix It,"
Contact your vendors - for your practice management system, electronic health record system, and/or your claims clearinghouse -- to ensure your software is upgraded for 5010 compliance. Questions to ask and a list of the most popular vendors in Texas. Check the 5010 Update pages for Medicare, Medicaid, and health insurance payers. Identify changes to data reporting requirements. Once you have the upgrades, test the system to ensure claims are going through – whether you process through a clearinghouse or directly with the payer. Identify potential changes to existing practice work flow and business processes. Budget for implementation costs, including expenses for system changes, resource materials, consultants, and training. If you are looking for a new system, consider upgrading to a companion practice management/electronic health record system. Your HIT Regional Extension Center (REC) might be able to help with planning. 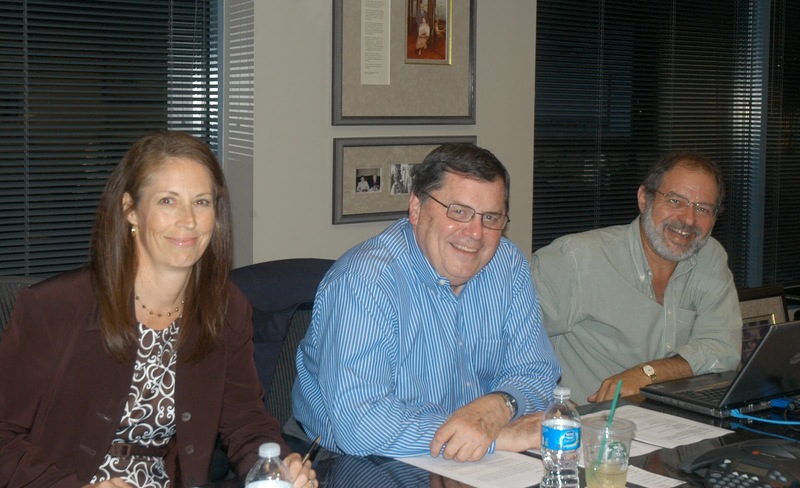 Listen to the audio highlights from TMA's HIPAA 5010 Tele-Town Hall meeting on Sept. 22, 2010. TMA President C. Bruce Malone, MD, moderated the discussion, which featured presentations from TMA expert staff. This half-hour Podcast TMA session covers the details of the conversion, how to prepare to upgrade your practice management or electronic health record systems, how to develop an action plan, and the impact on your business functions. In case you missed it, here's an audio recap of TMA's Tele-Town Hall Meeting on the HIPAA 5010 electronic claims standards, recorded Sept. 22, 2011. TMA President C. Bruce Malone, MD, moderated the discussion, which featured presentations from TMA expert staff. Listen in to learn the details of the conversion, how to prepare to upgrade your practice management or electronic health record systems, how to develop an action plan, and the impact on your business functions. One of TMA’s goals throughout the year is to keep you up to date on new rules and regulations coming down from the federal government. It’s critical that your electronic billing system be updated by January 1, 2012, to comply with the HIPAA 5010 electronic claims standards. If NOT — Medicare, Medicaid, and the commercial insurance carriers will NOT pay your claims. This could seriously hurt your practice. Why do we need to be HIPAA 5010 compliant, anyway? The Health Insurance Portability and Accountability Act of 1986 — or HIPAA — is the culprit. In addition to protecting our patients’ privacy, it required the federal government to institute “administrative simplification” to standardize the submission of electronic health insurance claims. This means come January 1, the electronic standard for submitting health insurance claims will change. If you or your billing company is not submitting your claims under the new standard — known as the 5010 standard — Medicare, Medicaid, and health insurers will ignore your claims and YOU WILL NOT BE PAID. Every physician who transmits a claim electronically for payment or who has someone else transmit a claim electronically on his or her behalf must comply. TMA's Be Wise — Immunize program offers two toolkits to help physicians provide the best vaccination care to their young and adolescent patients. TMA recently updated the Physician Manual for Children and Physician Manual for Adolescents . Both toolkits are free for TMA members. One of the core "meaningful use" measures intended to engage patients and families requires you to give patients specific information. This timely information can enhance patient satisfaction, increase patient knowledge, reduce anxiety, and improve follow-up compliance. Received a RAC Records Request or Repayment Letter? TMA is receiving more and more calls from physician offices that have received a records request or repayment letter from Connolly, Inc., the Medicare Recovery Audit Contractor (RAC) for Texas. Here's what you need to know if it happens to you. Physicians having problems with CIGNA's new national imaging arrangement with MedSolutions are asked to notify Genevieve Davis or Erin Smith in TMA's Payment Advocacy Department. In my family medicine practice, we’ve been using an electronic health record (EHR) for eight months. We picked a starting date and went 100-percent digital moving forward. We don’t scan old paper charts into the EHR unless they have necessary patient information (and of course we still keep all medical, billing, and payment records for the required amounts of time). Citing a cataract surgery demonstration project in Dallas-Fort Worth as evidence that bundling payments reduce costs, the U.S. Centers for Medicare & Medicaid Services invites physicians and other health care professionals to apply to help test and develop four different models for bundling payments. Lawmakers slash funding for residency programs in Texas, possibly forcing recent medical school graduates to train out of state. Watch the Tribune's interview with Dr. Bruce Malone, president of the Texas Medical Association, about the impact of these cuts on the state's ability to maintain an adequate physician training pipeline. He warns the effect on patient care will not be seen immediately and cannot be fixed later with an influx of cash. "There is a long queue for that training, so if you cut the people at the beginning of the training process, there's no way you can make them up quickly," Malone said. More Physicians Now Employed - Are Texas-Style Protections Needed Elsewhere? “In a quest to gain market share, hospital employment of physicians has accelerated in recent years to shore up referral bases and capture admissions,” so says the Center for Studying Health System Change in its latest issue brief: "Rising Hospital Employment of Physicians: Better Quality, Higher Costs?" The center based its document on interviews with physicians, hospital leaders, and health policy experts in 10 cities (none in Texas). While initial hospital moves to employ physicians generally focused on hiring specialists to build targeted service lines, such as cardiac or cancer care, hospitals increasingly are hiring primary care physicians to capture referrals for their employed specialists. “There is a mad grab to hire primary care physicians,” according to a Greenville market observer, capturing the sentiment of many respondents across the markets. Physicians’ reasons for seeking employment, not just by hospitals but also by other organizations, include stagnant reimbursement rates in the face of rising costs of private practice and a desire for a better work-life balance. Hospitals are hiring both primary care and specialist physicians. Primary care physicians (PCPs) in particular face challenges in remaining in independent practice because flat reimbursement rates and growing overhead costs are more of a challenge for their practices, which typically cannot generate significant revenue through procedures and ancillary services. And, even among some specialists, there is a notable change in attitude toward employment because of reimbursement issues. Hospitals filed dozens of bills in the 2011 Texas Legislature to employ physicians without protecting independent medical judgment. TMA adamantly opposed these bills because corporations — not physicians — would be in charge of critical patient-care decisions. TMA worked to transform these bills into ones that protect patients and their physicians’ ability to make medical decisions free from interference by a hospital administrator or corporate officer. At the same, we were able to preserve Texas’ ban on the corporate practice of medicine with several carefully controlled expansions for physician employment. These included strong protections for clinical autonomy and independent medical judgment. Texas is the first state in country to take this critical step. In rural hospitals hospitals – generally the smallest hospitals in the smallest communities which traditionally have difficulty in attracting physicians, particularly when payment rates are stagnant. In large, urban health care districts - county tax-supported facilities with a statutory mission of providing indigent care; generally these are teaching hospitals. In nonprofit health care corporations, commonly referred to in Texas as 501(a) corporations - most of which have been formed by urban/suburban hospitals and hospital systems and all of which are required to have a physician board of directors. Our bottom line is this: Employment WITHOUT protections is the corporate practice of medicine. Employment WITH protections is part of the practice of medicine, and that’s what we stand for. Because of Texas’ longstanding ban on the corporate practice of medicine, far fewer physicians here are employed, as compared to the rest of the country. I thought it would be insightful, however, to compare the Center for Studying Health System Change’s data with some groundbreaking research the Texas Medical Association conducted on the issue last year. For physicians just beginning practice, hospital employment also is attractive because of the perceived financial security and work-life balance. Data on medical residents’ first choice for employment support this—in 2003, 4 percent said they would be “most open” to hospital employment, but by 2008, the proportion had jumped to about 22 percent. TMA's survey found a continuing decline in the number of new physicians who start practice as an owner of a solo or group practice since the early 1980s. But, we reported, that has not resulted in a commensurate increase in the number of physicians who are currently employed, because the majority of physicians do not stay permanently in those employment situations. Employed or contracted physicians are primarily employed by another physician or a physician group practice. Few respondents are employed by a hospital or a hospital-owned non-profit health center, less than 6%. And personal control of practice decisions (54%). While the youngest physicians report increasing importance of work-life balance and guaranteed income, neither of those factors is given greater importance than personal control of clinical decisions. Physician report the most desirable practice type for most new physicians is employment in an established physician practice with a subsequent option to buy in to ownership according to 47% of respondents. Employment by a hospital was rated as least desirable by 46% of respondents, followed closely by solo practice at 41%. In essence, physician employment is attractive to both hospitals and physicians under volume-driven fee for service, and the growing employment trend does not guarantee improved clinical integration will occur. The recent acceleration in hospital employment of physicians runs the risk of raising costs and not improving quality of care unless broader payment reform reduces incentives to increase volume and creates incentives for providers to change care delivery to achieve real efficiencies and higher quality. Physicians who signed up for the Medicare program before March 25, 2011, must revalidate their enrollment with TrailBlazer Health Enterprises over the next year and a half. The health system reform bill Congress passed last year requires it to reduce Medicare fraud, waste, and abuse. Physicians who enrolled on or after Friday, March 25, 2011, do not need to revalidate. Thanks to TMA and its organized medicine partners, the Medicaid program delayed the start of changes to claims for obstetric services for one month until Oct. 1. At that time, claims with delivery procedure codes 59409, 59410, 59514, 59515, 59612, 59614, 59620, or 59622 will require the U1, U2, or U3 modifier. A whole new round of audits — for compliance with HIPAA data security and privacy requirements — are set to begin in late 2011 or early 2012. Public reports on Medicare and private payer data must be valid, reliable, and actionable, the Texas Medical Association, the American Medical Association, and 80 other physician organizations told the Centers for Medicare & Medicaid Services in comments on Medicare's proposed rules for reporting performance measurement data. Physicians can help patients obtain immediate health insurance coverage for preexisting conditions, now that the federal government has relaxed eligibility requirements. Medicare says it will lower payments to physicians by 29.5 percent at the end of the year, a cut so drastic that even the man in charge says it must be stopped. On Sept. 1, the Texas Health and Human Services Commission (HHSC) will begin Phase I of its Medicaid HMO expansion, converting the Medicaid Primary Care Case Management model to the Medicaid HMO model in the 28 counties contiguous to the current Medicaid HMO service delivery areas of Bexar, El Paso, Harris, Lubbock, Nueces, and Travis counties. As part of the conversion, the state also will create a new service delivery area – Jefferson -- consisting of 11 counties in Southeast Texas. They say everything's bigger in Texas — and apparently, that includes the people. Texas ranks as the 12th most obese state in the U.S., according to a new study by Trust for America’s Health and the Robert Wood Johnson Foundation. The study found that — not surprisingly — obesity rates are skyrocketing. In 2007, only one state had an obesity rate above 30 percent, but in 2011 more than 12 states, including Texas, have obesity rates above 30 percent. More than 20 percent of adolescents (ages 10-17) are considered obese. In Texas 38.5 percent of blacks and 36 percent of Latinos are considered obese. Rich Hamburg, deputy director for Trust for America’s Health, said Texas' obesity rates are directly linked to poverty, which unfortunately correlates with race. Hamburg said the obesity epidemic is linked to a dearth of healthy foods available for people on fixed incomes. Many live in so-called "food deserts," and are unable to get to a grocery store and purchase healthy foods. Others are not able to participate in recreational activities because their neighborhoods are unsafe. “This has been a problem 30 years in the making,” Hamburg said, “and there is not magic bullet to solve the problem." Obesity is not the only issue plaguing Texas: Chronic health problems like diabetes and high blood pressure have been on an upward slope. In 1995, Texas had a diabetes rate of 5.9 percent; currently the rate is 9.6 percent. State and federal lawmakers have begun doing this, implementing school meal standards and physical education requirements. But researchers note that many of these policies are not curbing the obesity epidemic because they don't address the conditions in which families live and children play. This article originally appeared in The Texas Tribune at http://trib.it/qlzNlO. Admitting it did not fully understand the impact of what it was requiring, the Centers for Medicare & Medicaid Services now says it will drop a proposed rule that the ordering physician or nonphysician practitioner must sign requisitions for all clinical diagnostic laboratory tests paid under the clinical laboratory fee schedule. Today is the last day of the special session. The Texas Senate headed home a day early yesterday after taking action on bills critical for the special session. However, the Texas House is still at work. House members returned today to take up legislation that would stop invasive pat-downs by Transportation Security Administration and an omnibus bill to fund courts. Yesterday, the House almost caused lawmakers to come back for a second special session when it initially voted down Senate Bill 1. After a quick emergency caucus, budget negotiators were able to put the bill back on track. House members passed the bill on the second attempt. SB 1 is critical to helping balance the 2012-13 budget. It creates more than $3.5 billion in additional nontax revenue. It also cuts public education by $4 billion statewide. Look for TMA’s complete legislative summary in Friday’s TMA Legislative Hotline. UPDATE: The House passed SB 7 today 96-48. Shortly afterward, the Senate approved it 22-8, sending the bill to Gov. Rick Perry for his signature. With only three days left in this special session, lawmakers still need to finalize three budget bills to balance the 2012-13 budget and carry out the spending cuts lawmakers made during the regular session. All three bills are close to completion providing they don’t hit a snag. The Texas House will take up conference committee reports for two of the three budget bills — Senate bills 2 and 7— today. Negotiations are still underway for SB 1, which is in conference committee. SB 1 would create around $3.5 billion in nontax revenue for the next two-year budget. SB 2 would amend current law to appropriate $37 billion to the Foundation School Program for the 2012-13 budget. Money cannot be allocated to certain parts of government without the passage of this bill. At issue is a provision the House added that would draw money from the Rainy Day Fund for the Foundation School Fund if the balance of the Rainy Day Fund exceeds the amount included in the comptroller’s certification. Check out the conference committee report. Deny state funding to public hospital districts that perform abortions except in the case of a medical emergency. SB 28 by Sen. Rodney Ellis (D-Houston) could come up in the Senate today. It would ban smoking in some public places and could save the state more than $30 million in Medicaid costs. Responding to two last-minute openings on American Medical Association councils, Texas Drs. Dawn Buckingham and Ken Mattox willingly threw their hats into the ring. Although neither Dr. Mattox, a trauma surgeon from Houston, nor Dr. Buckingham, an Austin ophthalmologist, won their races, they ran well and displayed the TMA's "bench strength" in Chicago. We appreciate their willingness to step up to the plate. (CHICAGO) -- Immediately after the American Medical Association House of Delegates voted on Monday to keep the AMA’s support for a mandate that nearly all Americans be required to have or buy health insurance, TMA arranged an interview with national CBS Radio for TMA President Bruce Malone, MD. The discussion ranged from the issue itself, to the tenor of the often-heated debate, to the impact the vote will have on AMA membership. Below are some excerpts of Dr. Malone’s comments. Gov. Rick Perry signed more than 1,400 bills into law. Around 200 are health-related bills that TMA actively supported. In addition to winning key reforms to the Texas Medical Board (TMB), TMA also won important protections for physicians who seek employment in rural and urban county hospital districts and nonprofit health care 501(a) corporations, new vaccination requirements to protect Texans from meningitis and pertussis, a study by the Higher Education Coordinating Board to assess the number of graduate medical education slots to make sure the state is maximizing its investment in medical education, and much more. Check out the complete list of TMA’s bills the governor signed. Institute a seven-year statute of limitation on bringing a disciplinary action. The governor only vetoed two key bills TMA supported: A measure by Senator Nelson and Representative King that would bind TMB to the ruling of an administrative law judge in a proceeding supervised by the State Office of Administrative Hearings and another bill that would ban Texans from texting or reading emails while driving. Yesterday, the Senate Health and Human Services Committee approved SB 28 by Sen. Rodney Ellis (D-Houston), which would ban smoking in some public places. The legislation would save the state more than $30 million in Medicaid costs because fewer people will get sick from smoking or secondhand smoke. The measure could be before the full Senate as early as tomorrow. 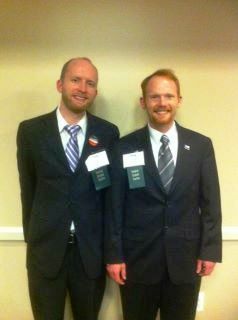 ﻿﻿(CHICAGO) -- It seems like it’s been all politics all the time here at the annual meeting of the AMA House of Delegates. Former TMA President Sue Bailey, MD, is campaigning hard in her race for vice speaker of the AMA house. Her support team includes Drs. Melissa Garretson, Dawn Buckingham, David Fleeger, and Dan McCoy, but the entire Texas Delegation to the AMA is making contacts on Dr. Bailey’s behalf. The election is tomorrow morning. Meanwhile, we’re proud to announce that Houston’s Russ Kridel, MD, has already won his race for reelection to the AMA Council on Science and Public Health. On the policy side, the big debates continue to focus on AMA’s support for the health system reform law. Delegates in one reference committee spent several hours Sunday talking about whether AMA should continue to back the mandate for all Americans to buy health insurance. Another committee tackled a long list of improvements that need to be made in the law ― along the lines of TMA's Find It, Fix It, Keep It campaign. Sue Bailey, MD, was a busy lady on Saturday. She spent the morning and early afternoon shuttling among small groups of physicians in the AMA House of Delegates, asking for their vote to be the next vice speaker of the house. Later in the day, she made her formal presentation to the entire house. The election is Tuesday, and the entire Texas Delegation to the AMA is working overtime to make sure Dr. Bailey comes out on top. Stay tuned to BloggedArteries and the TMA Twitter account for all the details -- and the outcome. (CHICAGO) -- The physician meetings haven't even begun up here where it's nice and cool (68 degrees felt great this evening), but our Texas medical students are already racking up the leadership positions in the AMA Medical Student Section. Rikki Baldwin, a second-year student at the Texas College of Osteopathic Medicine, Region III Membership Chair. Thanks to our intrepid reporter, TMA Membership Marketing Director Sylvia Salazar, for the news and the photo. The 2011 Texas Legislature's regular session is barely over -- and the sudden-death overtime special session is still running -- so it must be time for one of Austin's favorite biennial pasttimes: picking those lawmakers who stood out, for better or for worse. Two of the first two lists that were published, Texas Monthly's "Best and Worst Legislators 2011" and Capitol Insider's "Top Ten Legislators," both heaped lots of credit on the lawmakers who ran their respective chambers' budget committees: State Sen. Steve Ogden (R-Bryan) and Rep. Jim Pitts (R-Waxahachie). But some of their brightest praise shone on one of the four physicians -- and TMA members -- in the 2011 legislature. Those of us who've watched Rep. John Zerwas, MD (R-Simonton) over the years aren't at all surprised at what the raters had to say about him. As corny as it sounds, John Zerwas is the closest thing the Legislature has to a saint. His job this session, as chairman of the House Appropriations subcommittee on the health care section of the budget, was to listen, in meeting after meeting, to the testimony of people who depend on services facing deep cuts. A typical hearing found the room filled with supplicants in wheelchairs, clad in ponchos as a symbolic plea for lawmakers to use the Rainy Day Fund. Health care debates are particularly challenging because they tend to inflame the passions of the true believers on the far right, but here Zerwas’s training as a physician serves him well. He never engages in ideological battles, never panics. He just argues cause and effect, as a man of science is trained to do. If we don’t raise provider rates, Members, then doctors and nurses will not be able to afford to treat patients. What separates Zerwas from other members is that he uses his time on the House floor to speak from his medical experience. His purpose is to educate, and in a session as hellish as this one, that was grounds for beatification. You could search Texas history all day and it would be hard to find a state lawmaker who's not a committee chair with the kind of sparkling reviews that have been lavished on Dr. John Zerwas for his performance at the Capitol this year. The third-term representative who represents three counties on the edge of the Houston area was tapped to lead the Appropriations subcommittee on health and human services at a time when those programs appeared to be on the verge of draconian devastation amid the worst state budget crisis in two dozen years. While there would be no elixir for the budget-cutting fever, Zerwas helped his colleagues understand the potential consequences and repercussions that an unbridled chopping block approach could bring to the areas of the budget that fell into his jurisdiction and expertise. That had a mitigating effect on the budget ax on Article II in the short term. But Zerwas tackled his job with one eye on immediate concerns and one on the future with a proactive mentality that he hopes will save the state money down the road without adversely effecting the health care delivery system in the state. It was a bold approach that didn't come without risks in a Legislature that's preferred the instant gratification of band-aids over cures that come with no guarantees. Zerwas' biggest single splash arguably came last week as the sponsor of legislation that the House approved in special session in a move that's designed to have almost $500 million by privatizing Medicaid managed care in South Texas. The measure that was authored by State Senator Jane Nelson would create a Texas Institute of Health Care Quality and Efficiency that would link reimbursements for medical professions to the outcomes of the care and treatment they provide. Democrats fought the measure on the grounds that it would reduce state spending on children's health insurance, boost co-payments for Medicaid patients and run the risk of cutting payments to doctors who'd be inclined to refuse to take Medicaid patients as a result. Critics contended that the Medicaid privatization plan would compound the pain from a reduction in hospital reimbursements that the Legislature had already endorsed this year. But Zerwas, a relatively low-key lawmaker who reasons with his colleagues instead of pressing, browbeating or trying to scare them, persuaded the House to embrace the novel approach in a vote that approved it along party lines. Zerwas, an anesthesiologist, wasn't distracted this time around by the need to save lives like he'd done two years ago when a House colleague suffered a near fatal heart attack on an elevator during a late night meeting in the lower chamber. 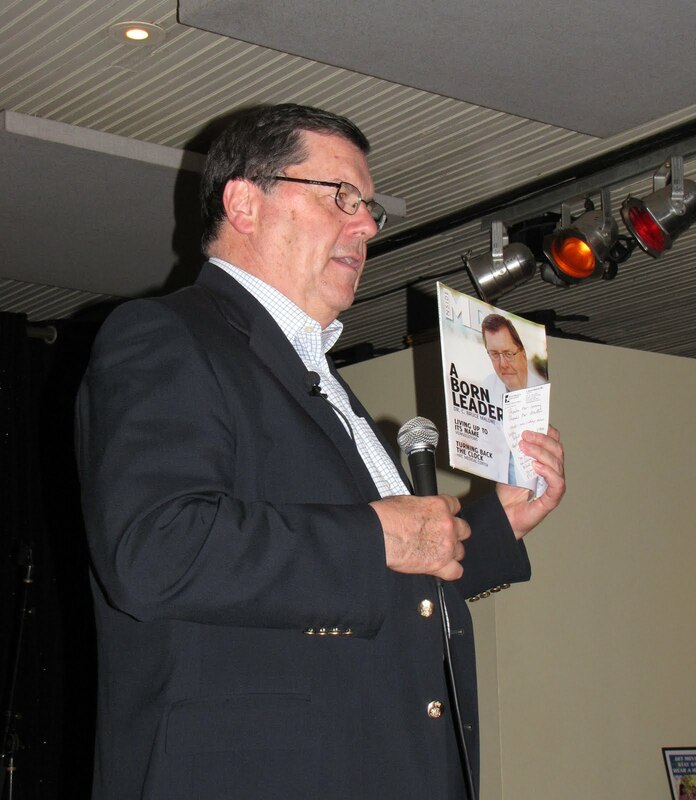 But Zerwas had one of the most successful sessions in recent memory largely as a result of his ability to gain the trust of fellow lawmakers whose political futures could live or die on the votes they cast in the most extreme budget conditions that the Legislature has faced since 1987. He accomplished that with relative ease on the strength of his expertise, his commitment and the courage and will that it took to lead the fight in an arena where an increasing number of lives are on the line each day.